There is a social media post that does the rounds at this time of year. It’s about simplifying Christmas (which I am ALL for) and giving children four things. 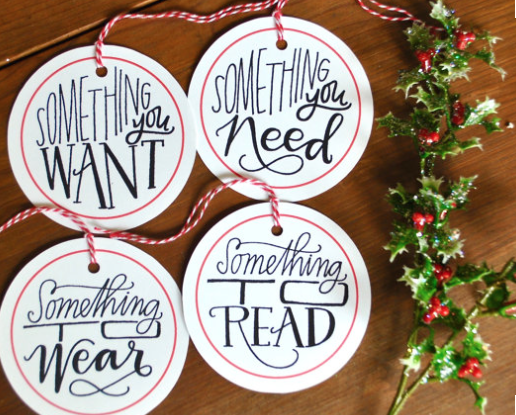 Something they want, something they need, something to wear…and something to read. It’s the something to read that does it for me. As a recipient (I can never have too many books) and, even better, as a gift giver. What can be better than giving a child the pleasure of reading? I have two daughters (aged 9 and 7) who are both real bookworms. And so this blog post is our equivalent of ‘take your daughters to work day’. A blog takeover. These are the books that they have LOVED and they want to share. These books are not gender specific and there is no reason why boys wouldn’t enjoy these stories. But if you are looking to buy books for boys, also check out this post on encouraging boys to read – loads of great ideas on there whether your child is a reluctant or avid reader. We added the reading ages based on guidance from the publishers. But this is not about what reading level the kids are at. A lot of these books we have enjoyed together because what I think really matters is inspiring a love of stories. If children are gripped by stories, they will become become readers…the process may take longer for some than for others, but that’s the joy of life. We are all different. When Arriman the Awful, the handsome wizard of the North, announces a contest to choose his bride, every witch in town is a flutter. The meanest, most powerful witch will wed the wizard. But little Belladonna is dismayed, because as hard as she tries, her spells conjure up begonias and baby birds, and not a single viper or bloodshot eyeball. She just has to do something seriously sinister in time for the contest…. When Jessie visits her grandmother’s house, Blue Moon, she discovers an amazing secret, and enters the Fairy Realm for the first time. All kinds of magical beings live in the Realm, and a noble Queen in a great golden palace rules them all. But the Realm is in danger, and Jessie must outwit an evil enemy to save it before it’s destroyed forever! I think everyone should read this classic – a beautiful story of friendship, love, life and death. ‘Some Pig. Humble. Radiant’. These are the words in Charlotte’s Web, high up in Zuckerman’s barn. Charlotte’s spiderweb tells of her feelings for a little pig named Wilbur, who simply wants a friend. They also express the love of a girl named Fern, who saved Wilbur’s life when he was born the runt of his litter. ‘A small, timid refugee from wartime London—and from a sadistic mother—and a lonely villager who has reluctantly accepted the child form a bond of love and trust that is deeply touching. Michelle Magorian has created a vivid cast for an English story with universal and timeless appeal.’ —Zena Sutherland, IRA Children’s Book Award Chair. Princess Haya loves her family more than anything–especially her mother who brings light and happiness into King Hussein’s house. So when Queen Alia is killed in a tragic accident, Princess Haya is devastated. Knowing how unhappy she is and how much she loves horses, Haya’s father, King Hussein, gives her a special present: a foal of her very own. And this foal changes Princess Haya’s world completely. Since reading this, my daughter has thoroughly enjoyed other books by Stacey Gregg, in particular The Girl Who Rode the Wind – which she literally couldn’t put down. Horse-loving readers may also enjoy the Pony Club series by the same author; these are more formulaic but still enjoyable reads. Violet never wanted to move to Perfect. Who wants to live in a town where everyone has to wear glasses to stop them going blind? And who wants to be tidy and perfectly behaved all the time? Violet quickly discovers there’s something weird going on – her mam is acting strange and her dad has disappeared. When she meets Boy she realises that her dad is not the only person to have vanished… and that the mysterious Watchers are guarding a creepy secret! A time-travel story that is both a poignant exploration of human identity and an absorbing tale of suspense. Age? The publisher says 12+, but I think younger readers can enjoy it. It’s so well written that I would re-read it too. This book is a classic. The girls are so different – talented, yet not without their imperfections. It is also a celebration of unconventional families. I loved this book and I’m glad my girls do too. We also enjoyed the film with the girls’ favourite, Emma Watson. This is a must-read – we loved these inspirational stories celebrating women. Women In Science is another book which also looks good. ‘Two sisters who think they have no family until they meet their Granny. One night their parents disappear and, when they go to live with their grandmother they realise that ogres and fairies and giants are real. Maybe because their ancestors are the Brothers Grimm! With these books you can let your imagination go wild’ (Eldest daughter, age 9). Age? 8+ (We also loved The Tale of Despereaux and The One and Only Ivan by the same author). ‘This book is fantastic! It’s set in the Second World War and its about a girl who gets evacuated. Her sister goes missing. I learned a lot about what happened to Jewish people during the war and while some people were doing horrible things, others were so brave.’ (Eldest daughter, age 9). These are stories about a girl called Ada Goth who lives at Ghastly Gorm Hall. Her father is a famous Poet but he hardly ever sees her – he thinks children should be heard and not seen (that’s a joke from the book!). There are some great illustrations in this book, its a bit like a graphic novel in some parts.’ (Eldest daughter, age 9). Ada Goth is the only child of Lord Goth. The two live together in Ghastly-Gorm Hall. Lord Goth believes that children should be heard and not seen, so Ada has to wear large clumpy boots so that he can always hear her coming. This makes it hard for her to make friends and she’s rather lonely. Then one day William and Emily Cabbage come to stay at the house, and together with a ghostly mouse called Ishmael they and Ada work together to unravel a dastardly plot! This is a beautiful book and a great way to introduce your children to poetry. aya Angelou International Women’s Day and Lewis Carroll April Fool’s day. The last on the list, we are currently reading this book together and are really enjoying it. It’s an inventive, beautifully told story by the author of A Boy Called Christmas. This post contains affiliate links which means that if you shop the link I will receive a payment. A tiny payment. If at any point I make a profit from affiliate links, I will donate a portion of the money to a charity which supports women’s literacy. An absolutely awesome list of books! My girls have read many of these but many I am sure they would adore to read! Thanks so much my lovely friend for putting this together ? Thanks Maru…the girls were so pleased to read your comment! ?? I enjoyed this post filled with great reading ideas! As a young girl, books were my best friends! Fantastic blog. Loved hearing the girls perspective. Perfect timing. I am sitting in a bookshop looking for books for my nearly 9 year old and nearly 6 year old. I had meant to buy Goodnight Stories for Rebel Girls, but had forgotten and you reminded me. I love love loved Charlotte Sometimes when I was young, another good suggestion and some other good ideas for books I have never heard of. By the way the film ‘Hugo’ is very good, have you seen it? But watch it with your Mum as the policeman is a bit scary (played by Sasha Baron Cohen). Thanks for this! Great post! Thanks girls for your reviews. 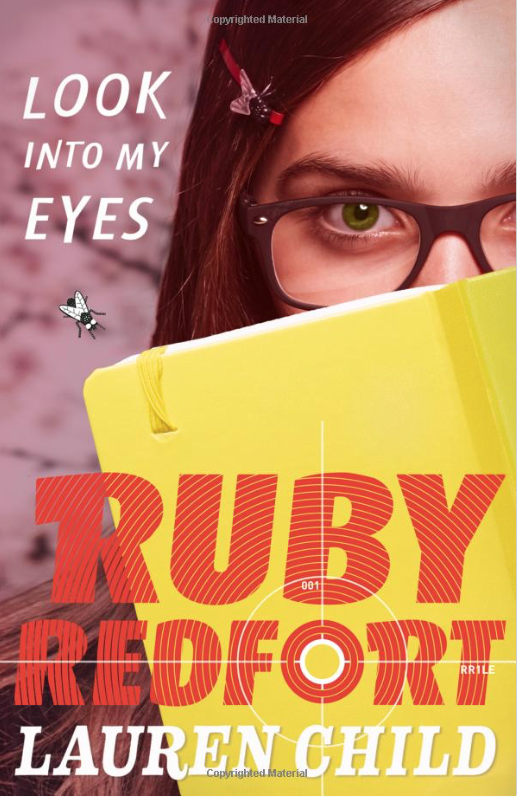 Charlotte loved reading the Ruby Redfort series too! I must admit I’m a bit lazy when it comes to reading but I really want my girls to develop a great love for it & you have helped me with your fantastic reviews & recommendations, I will definitely be adding many of these books to their Christmas lists!!! Aw thanks Karen, hope they liked them!